Don't let limited space keep you from trying to grow your own edibles. Anything you put in the ground, you can try in a container. From herbs to vining plants to fruiting shrubs, a container garden can more than satisfy your green thumb. Before you get started, though, there are a few things you need to know. 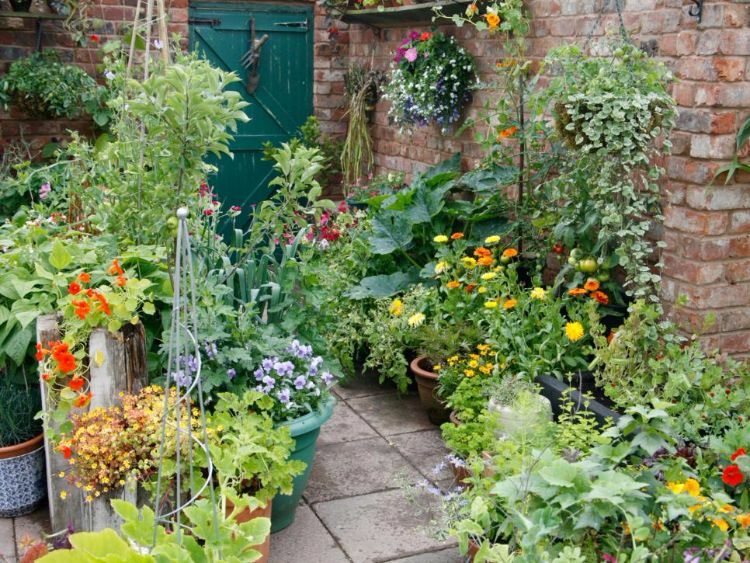 To help get you off to a good start, we've provided you with a list of do's and don't when beginning your container garden and a few ideas to try. - DO research the plants you want to use. Plants have varying needs in terms of soil depth, nutrients, spacing, and other factors. And if you intend to grow a container garden, it's important that you understand your plant's needs. Containers create an environment where, if you don't take extra measures to ensure plant health, you might be disappointed. Also, if you want to plant more than one type of edible in a pot, make sure they share similar water and sunlight needs. And choose an appropriate sized container: If the container is too small, it will dry out really fast and may not provide adequate room for the plant to thrive. - DO put your container garden in a sunny spot before filling it with soil (and especially before watering it). If the sun just doesn't seem to reach your yard, patio, or deck, don't give up hope. You'll be surprised how many plants can sustain minimum sunlight (3-6 hours). Herbs and cool season veggies, like lettuce, spinach, chard and kale, are good options if sunlight is lacking. But, for the most success, try to find a spot with more than 6 hours of direct sunlight. And, we can't say it enough: Put the pot where you want it before filling it with soil! It will save you a lot of trouble. - DO take special care to prepare the soil. If you fill a container with nothing but topsoil and compost, you'll be sorry. For a container, there just isn't anywhere for soil or water to disperse to and it can become extra compacted and waterlogged. Planting material for containers needs to be especially aerated and fluffy, which is why containers are typically filled mostly with 'soilless' potting mix. - DO fertilize. It's a little harder to rely on organic matter to feed your soil in a container than, say, a raised garden bed. For one thing, most containers are filled with sterile potting mix, which is devoid of any nutrients. So, chances are you'll need to turn to an organic alternative to make sure your container garden is well fed. Gardner's Supply Company suggests using an all purpose organic granular fertilizer mixed in with the soil medium to start. Then continue fertilizing regularly with a liquid fertilizer, such as fish emulsion. 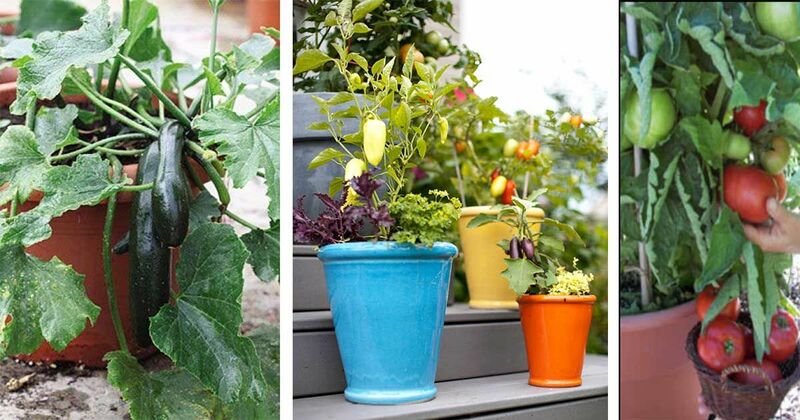 - DON'T forget to choose a pot with drainage holes, or create them yourself. Drainage is extra important when it comes to planting in containers, so make sure there is adequate drainage for your container garden. Consider adding some gravel in the bottom of the container as well, and cover it with permeable landscape fabric. The gravel will provide a little extra storage space for water as it drains. And the liner will protect soil from becoming compacted in the gravel, rendering the gravel useless. - DON'T forget to check for water needs more frequently. Containers tend to dry out more quickly and therefore, require more attention. During the heat of the summer, you may be watering fully mature container gardens twice a day. The important thing is to check often, and only water when the top couple of inches is dry, but there's still some moisture beneath that. And, if you go out of town, be sure to find someone to keep up on watering for you. - DON'T leave perennials planted in containers outside all winter. The ground does a great job at insulating plant roots. This protection is lacking in a container. Some perennials might be able to handle it. But for plants that aren't cold hardy beyond your zone, relocate the planter to the garage for the winter. Keep in mind that some moisture may still be needed during the dormant period. Do a little bit of research on the perennial you want to use ahead of time to avoid disappointment. - DON'T leave the same soil in a container year after year. Eventually, you will need to replace the soil in your container. How often depends on the circumstances. If a disease or insect pest shows up, swap out the soil. Better safe than sorry. If you notice the soil looking stripped of its fluffy quality and not holding moisture well, consider replacing the soil as well. And, if the soil is bound up with roots, it also might be easier just to replace it. Renewing the soil in a container garden can only help. It might not be an annual project, but keep an eye out for signs that the soil needs refreshed. 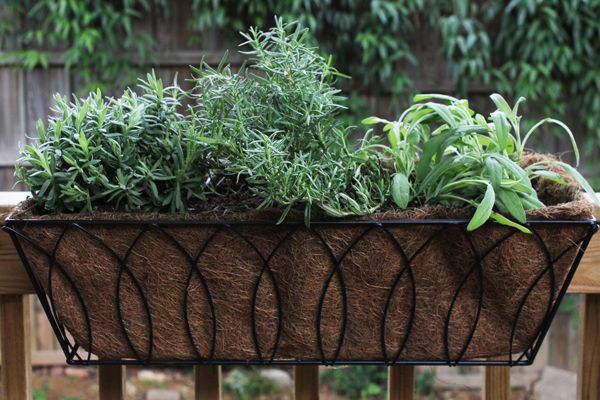 If space and sunlight pose issues for you, herbs are a great option. They're forgiving and you can mix-and-match pretty easily. Try mounting a small container to an outdoor railing. This could also work great for planting leafy greens, such as lettuce, spinach, and arugula. Use whatever container you can get your hands on. Consider using terra cotta, ceramic, plastic drums, crates, tubs, and the like. Just make sure there isn't a risk of any chemicals from the container leaching into the soil. A mix-and-match container garden adds so much character to your outdoor space and can provide you with all the growing room you need. Don't be afraid to be frugal. 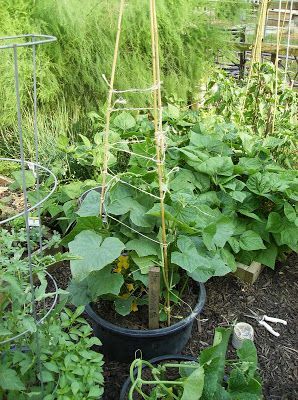 A reused pot from a landscape nursery, some bamboo stakes, and a little bit of twine could provide a more-than-sufficient-home to a productive cucumber plant.